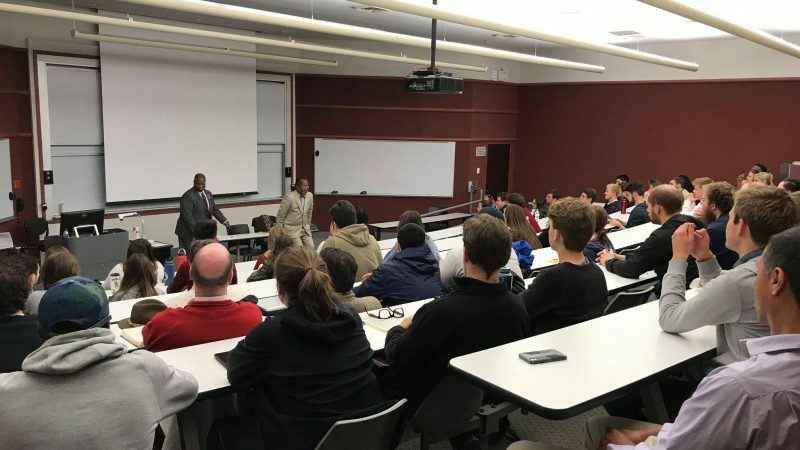 Last Thursday, Dr. Derryn Moten, the chair of the History and Political Science Department at Alabama State University, visited Culverhouse College of Business and spoke with students about the economic impact of the Montgomery Bus Boycott. The room was packed with students, primarily from the economics program, who patiently waited to hear from Moten, the author who wrote the introduction to Crusader Without Violence: A Biography of Martin Luther King, Jr. The talk was structured as a Q&A with Dr. George Daniels from the College of Communication and Information Sciences. Following the talk, several students had the opportunity to ask their questions. Topics ranged from law and politics to social issues and the goals of the Civil Rights Movement. He went on to say that it is important for students of all disciplines to get involved in finding solutions to the economic disparities plaguing the country. Students should read, write and study the policies and issues that King started to address, but never got to see finished. 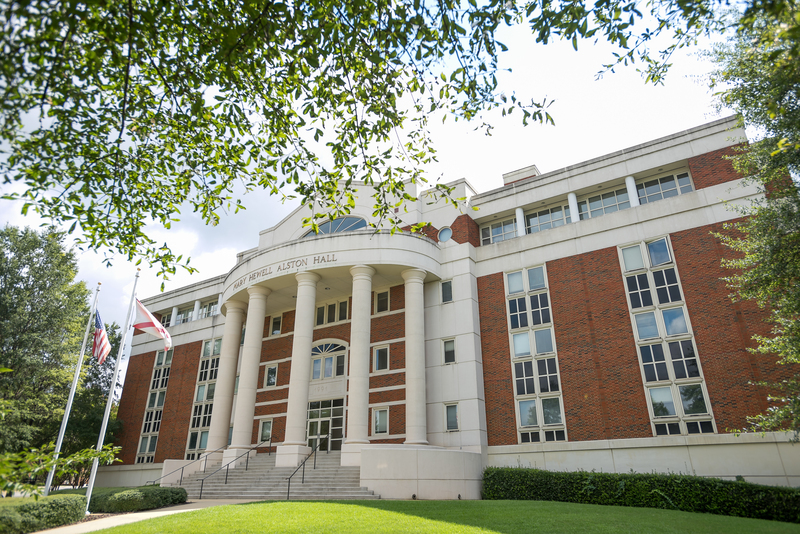 The event was hosted by UA’s Division of Student Affairs and its Diversity, Equity and Inclusion initiative and was co-sponsored by the Culverhouse Diversity and Inclusion Council and the College of Communication and Information Sciences. This talk was the third event in the line of a month-long initiative hosted by the university to celebrate the life and legacy of Rev. Dr. Martin Luther King, Jr. Visit diversity.ua.edu to learn more about their initiative and about how to get involved with “A Day On, Not a Day Off” the national day of service during Martin Luther King Jr. Day.